1. Entries must be made via Twitter by tweeting @silverlinetools explaining why you should win. 2. The prize consists of one car parking pass per winner. 3. Two passes will be given away to two separate winners. 4. Prizes are non-transferable and no cash alternative will be offered. 5. The winner will be chosen and notified by 5 pm on Friday 4th September 2015. 6. Travel and accommodation costs are not included in the prize. 8. The promoter, Powerbox Limited is not responsible for inaccurate prize details supplied to any entrant by any third party connected to this competition. 9. If the winner is unable to take up the prize for any reason, or if Powerbox Limited has not been able, after making reasonable efforts, to contact the winner, Powerbox Limited reserve the right to award the prize (without notice to the first winner chosen) to an alternative winner. In this case the first winner will not be eligible for any share of the prize. Powerbox Limited shall not have any liability in such eventuality. 10. The competition is open to all residents of the UK and N.I. 12. Entrants must be made in accordance with the competition instructions. They are invalid if received any later than the specified closing time. 13. Entries must be received by 3 pm GMT on Friday 4th September 215. 14. Employees and family and friends of Powerbox Limited or any third party involved are not permitted to enter the competition. 15. 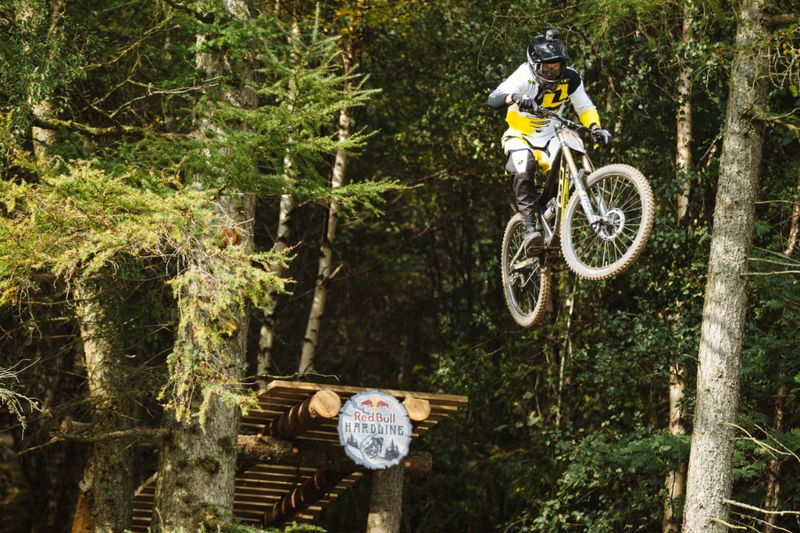 Red Bull Hardline will take place on the 12th and 13th September 2015 at Dinas Mawddwy, Wales.